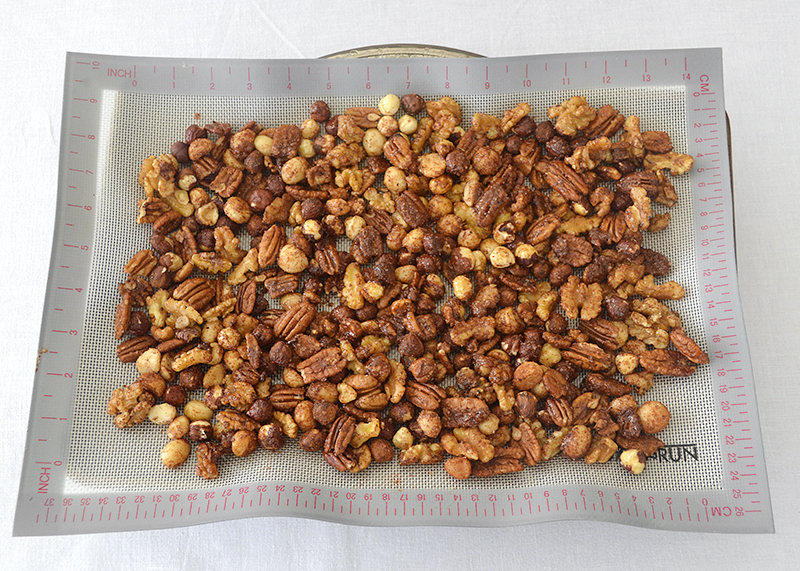 You can choose the type of nuts you like most and make your own mix. Perfect to have next to your bar area during the holidays. An easy appetizer you can make ahead of time and keep in an airtight container. I made them for thanksgiving and we nearly ate them all before guests arrived. Whisk the egg whites. Separately, mix all the spices with the sugar and salt. 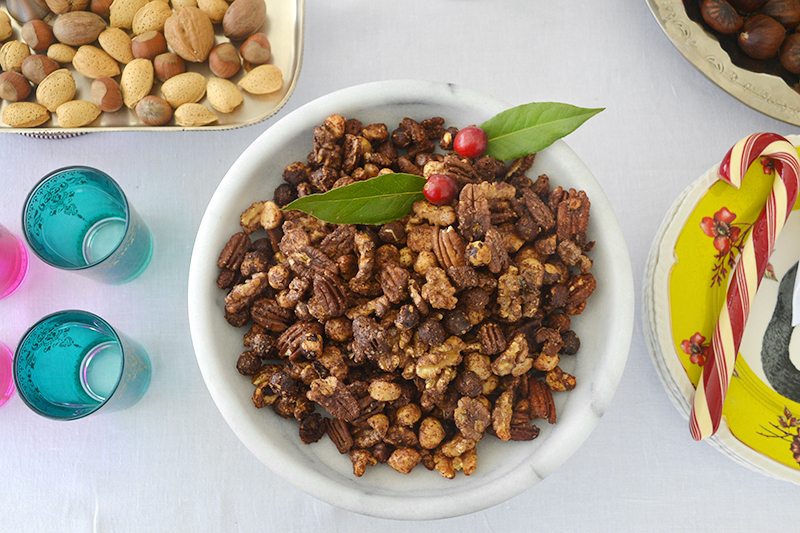 In a bowl combine all the nuts with the egg whites and spices. On a baking tray spread the mixture out into one layer and bake at 35Oº F for 20 minutes, stirring several times. Let it cool then serve.